Confused about all of the different dog foods on the market? Super premium, holistic, all natural, organic…the list goes on and on. We have decided to simplify the whole process. We have kept the nutrition simple by avoiding exotic ingredients, returning to good old-fashioned nutrition. We have kept the name Simple and best of all, we have kept the price simple. Great food for a fair price. And with animal nutrition experience since 1923, we believe that the proof is in the bag. Individual dogs needs and environments will differ. Feed to maintain normal body condition. Do not allow the dog to become overweight. Puppies (up to 6 months old) can be fed up to 1 ½ times the amount listed for their body weight. For puppies less than 4 months old, moisten the food with water. Pregnant and nursing females can be fed 2 to 3 times the amount listed for their weight category based on body condition. Provide clean fresh water at all times. More than 45 kg 4 ½ cups + ½ cup for each additional 4 kg of body weight above 45 kg. Poultry Meal, Ground Whole Corn, Wheat Middlings, Wheat Shorts, Poultry Fat (Preserved with Rosemary Extract, Vitamin E and Citric Acid), Corn Gluten Meal, Ground Whole Barley, Mono Dicalcium Phosphate, Calcium Carbonate, Ground Whole Flaxseed, Salt, Rice Hulls, Dried Brewers Yeast, Poultry Liver Digest, Potassium Chloride, Choline Chloride, Zinc Sulphate, Vitamin E, Iron Sulfate, Ascorbic Acid, Mineral Oil, Copper Sulfate, Niacinamide, Calcium d-Pantothenate, Manganese Sulfate, Vitamin A, Sodium Selenite, L-lysine, Biotin, Menadione Bisulfate Complex, Riboflavin, Vitamin D3, Calcium Iodate, Vitamin B12, Thiamine Mononitrate, Pyridoxine HCL, Folic Acid. 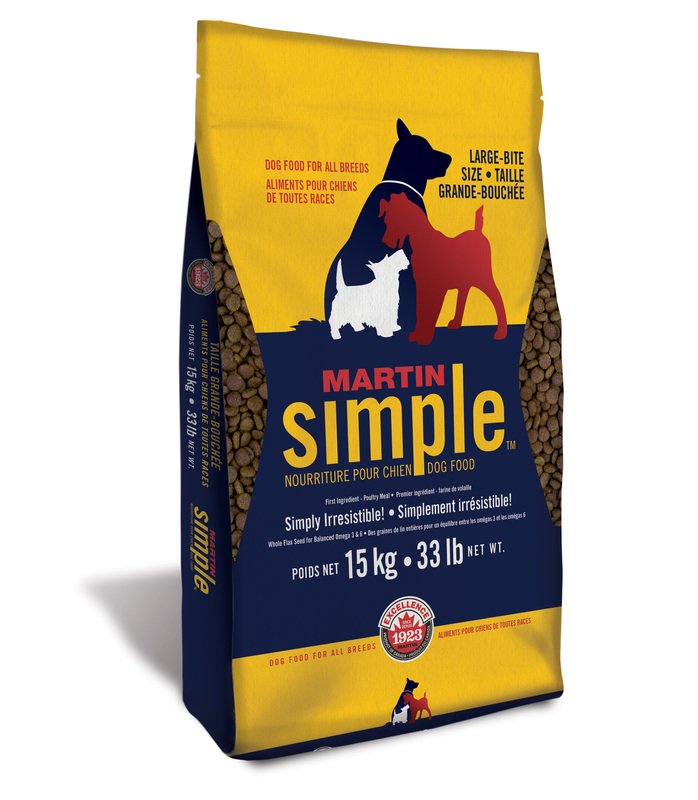 Martin Simple™ dog food is formulated to meet the nutritional levels established by the AAFCO Dog Food Nutrient Profiles for all stages of the dogs life. 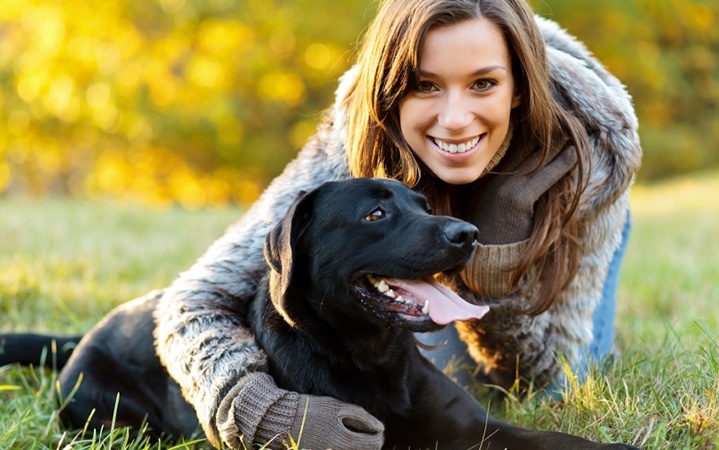 *Not recognized as an essential nutrient by the AAFCO pet food nutrient profile.